The biggest health concern of the modern world is obesity and overweight issue and a majority of the global population is suffering from this problem. In most cases, people try to lose weight and keep it under control through dieting and exercise, but in most cases these efforts turn in to failed attempts because of the loss of enthusiasm. But what is I tell you that there is an effective natural way to lose weight even without exercise? Yes, it’s true. Acupressure is an alternative therapy in which specific pressure points in the body are stimulated to relieve diseases and ailments. Acupressure for weight loss is extremely effective because it promotes weight loss through a three way approach. Acupressure helps to reduce cravings, it brings froth stability in appetite and it raises the consciousness of mind so that you can make healthy food choices. 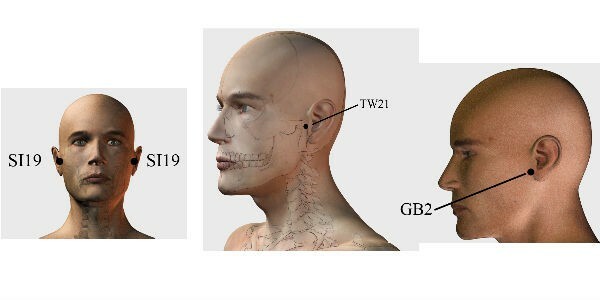 There are three vital ear points SI19, TW21 and GB2, which are located around the ear. 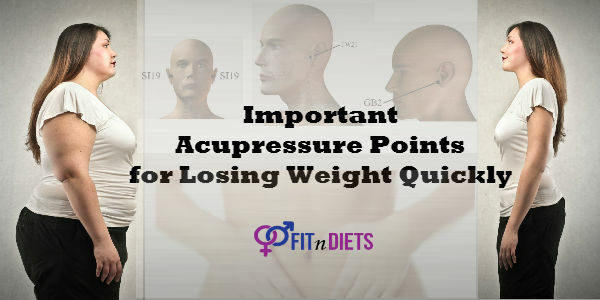 These are considered the most powerful points of acupressure to lose weight. You can locate these points by placing your thumb just above the triangular shaped flap of tissue located at the front of each ear. You can use your thumbs to apply pressure to this region because it will cover all the three points at the same time. You have to apply medium and consistent pressure to these points for 3 minutes. Stimulating these points helps in improving digestion and controlling hunger and appetite. 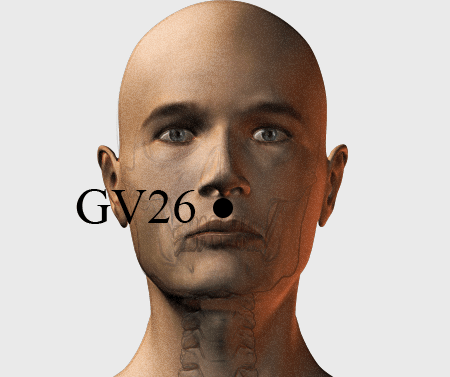 GV 26 is also known as the Water Trough and this weight loss acupressure point is located in the depression between the upper lip and the nose. Stimulating this point with your finger for five minutes 2 times a day can help in cubing hunger and appetite. The next important point in the acupressure chart for weight loss is Ren 6. This point is located 3 cm below the belly button. You can stimulate this point by massaging it with your index and middle fingers for 2 minutes, twice a day. This point helps in stimulating digestion and flushing out toxins from the body. Don’t Miss: Yoga Asanas to Burn Belly Fat at Home. 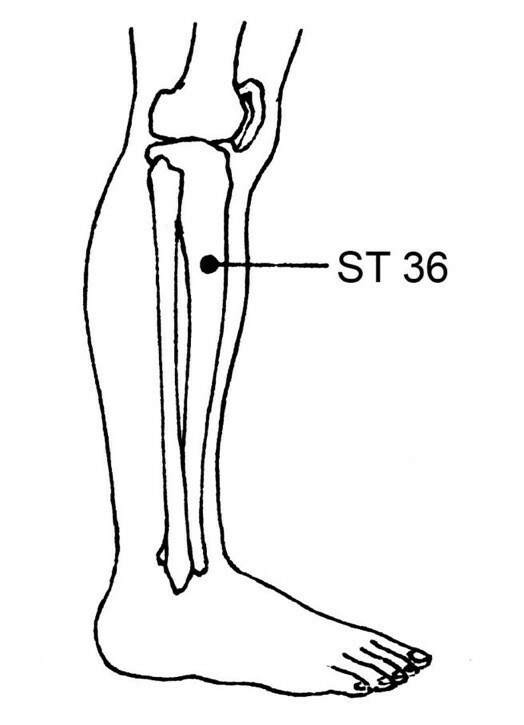 Knee Point or ST36 is a vital point in acupressure weight loss that promotes weight loss by ensuring healthy functioning of the intestines. This point is located 2 inches below the knee cap, slightly towards the outer side of the leg. Press this point on both legs with your index finger and middle finger for two minutes every day. 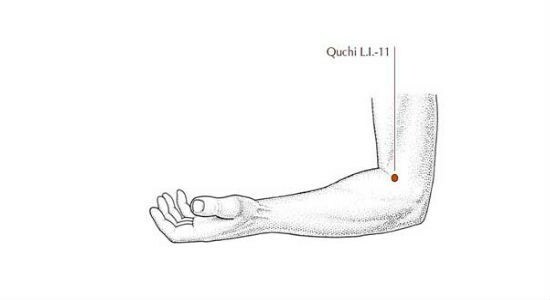 Elbow point or LI11 is one of the functional acupressure points for weight loss that improves the functions of the intestine by removing unwanted moisture and excess heat from the body. This point is located at the elbow crease, near the outer side of the elbow. You can stimulate this point by applying pressure with your thumb for one minute every day. Ankle point or point SP6 is yet another useful acupressure point for weight loss that is located 2 inches above the ankle, on the inner side of the leg, just behind the ankle bone. You can stimulate this point by applying pressure with your thumb for 1 minute every day. This point helps in balancing the level of fluids in the body. This is a cluster of points that are situated just below your lower ribs. Curb your fingers and press into these points on both sides of the torso from 5 minutes every day. These points aid to relieve indigestion. If you have decided to opt for self-acupressure for weight-loss then it is important to follow some guidelines to ensure that you are doing it right. Study the pressure points from an acupressure chart in order to know the exact location of the points on the body. Before performing self-acupressure, increase the oxygen supply in your body by taking a few deep breaths. It will also help to calm and relax the mind and the tense muscles. Do a simple breathing exercise by inhaling for 8 counts through the nose and then exhaling for 16 counts. Repeat it 10 times. Apply slow and steady pressure with your fingertips. Hold the pressure point lightly and apply steady pressure for 1 to 3 minutes. If the point is sore or injured then use less pressure. Avoid using pressure on wounds, cuts, burns and tumors. Wear extra clothing and try to keep warm after completion of an acupressure session. Acupressure session helps in releasing all the tension from the body and as a result your body heat is lowered, thus making you susceptible to cold. Acupressure not only helps in curing various types of diseases and health conditions, it also brings about a harmony between the mind and the body. Stimulate the above-mentioned acupressure points as per instructions in order to promote weight loss without any side-effects.